YUM! Well, that sums up this post! 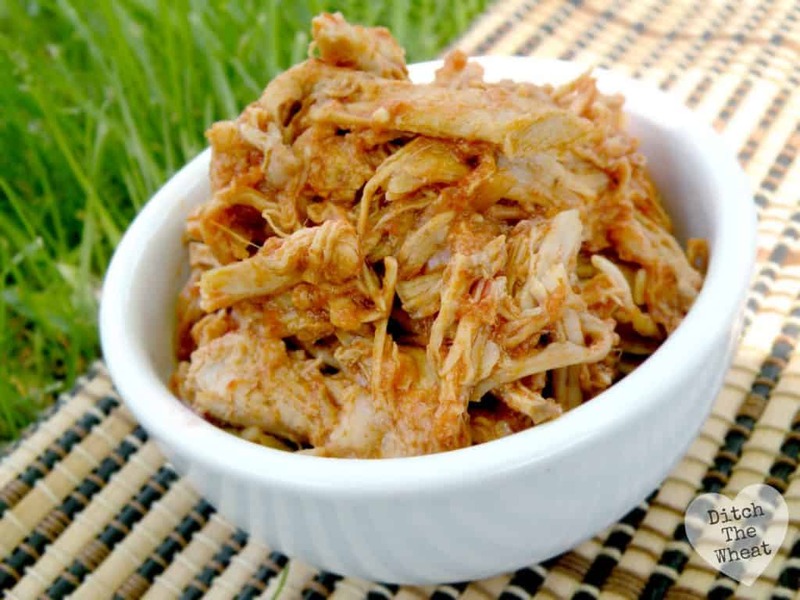 Flipping through Make it Paleo gave me the inspiration to try foods that I never eat and that looked complicated like pulled pork and homemade barbecue sauce. I can’t get over the ease of every recipe in this book. The recipes are simple, the ingredients are simple, but you end up with great food! Great food accompanied with pretty photography. I have never made pulled pork in my life. I’ve eaten it maybe twice?? I remember eating it at a restaurant and at a Christmas party. The pulled pork at the Christmas party was made by my cousin’s cousin, Ryan. If a guy who is not known for his cooking skills can make it, surely I can make it too! Seriously, no one in my family makes this stuff. After making it Victoria Day weekend, I’m left wondering what is wrong with my family! This recipe is amazing! Rinse the pork and dry the water off. Using a knife, cut diagonal lines throughout the pork shoulder. Put garlic in the cuts. *I took my already minced garlic and rubbed it all over the pork. Place the pork in the crock pot and cover with chicken broth. Cook for 8 hours on low. *1 hour on high = 2 hours on low, I did 1 hour on high, 6 hours on low. Start making your barbecue sauce when you have 1 hour left of cooking. After the pork is finished cooking, take it out of the broth, and let it cool. Discard all the fat and veins. 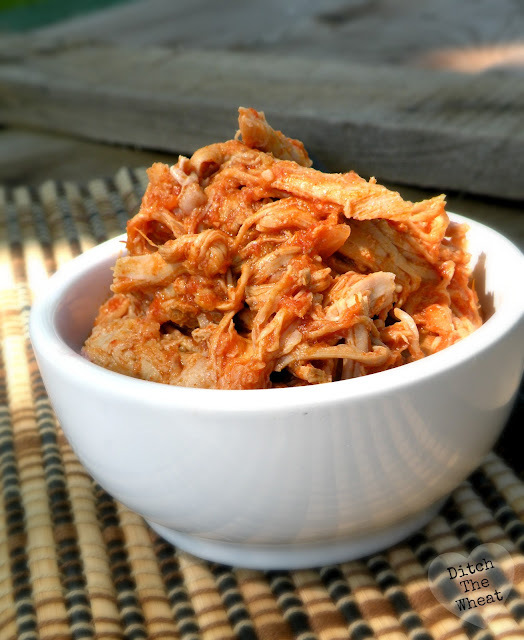 Shred the pork by pulling the meat apart with two forks. Mix all the pulled pork with the barbecue sauce. *I suggest leaving the pork to sit in the sauce at least an hour on low heat. The pork soaks up the flavour! On medium heat, sauté the garlic, shallots using the cooking fat, until soft and translucent. Add mustard, smoked paprika, chipotle, cumin, and salt. Continue to sauté for about 30 seconds. Add the chicken broth, lime juice, maple syrup, and tomato paste. Bring the sauce to a light boil and reduce to simmer, and slightly cover with a lid. Simmer for 45 minutes, and let cool. *Instead, I kept the sauce on med-high, and continued to boil without the lid on. My sauce was very thick within 15-20 minutes. Have you ever made homemade barbecue sauce? If you enjoy easy to make Paleo recipes like this I recommend these meal plans. I made some more yesterday 😀 I tried out a different way. I slow cooked the pork in only water for 8 hours. For the sauce I doubled all the spices and added cayenne. Yummy!!! I didn't notice a difference in the flavour of the pork without the chicken broth.